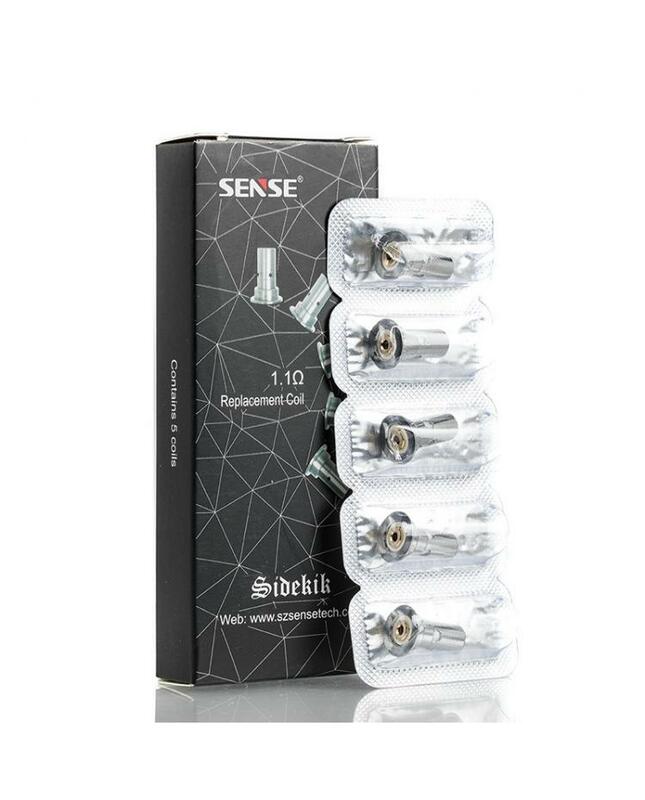 The Sense Replacement Coil Heads For Sidekit Pod System Starter Kits, 5pcs per pack, resistance is 1.1ohm. recommend works between 10W to 15W. the coils optimized for nicotine salts, vapers can use them for regular e-juice and nic salts, it will deliver the good taste flavor.